We had an in-depth consultation which was extremely helpful & needed. This helped us talk through thought, ideas, limes & wants. Also this was very important for Fiona to get an idea to my likes & wants. Her help has been outstanding & we are really looking forward the end result. Fiona has been there a 100% throughout all my questions & needs right down to what type of paint is needed. 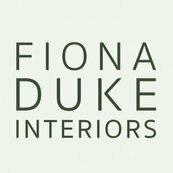 Brilliant service & I shall definitely be using Fiona’s expertise on other parts of my home. I can thank fiona enough for how she has transferred our home.